Despite a growing body of research and resources on flipped classrooms, the voices and transformative journeys of tertiary educators—their perspectives, practices, challenges, and adaptations to flipped teaching in higher education have been missing. To address this gap, in this paper, I chronicled my journey into flipped classrooms, in two early childhood units/courses in the pre-service teacher education program at an Australian university. Using a self- study approach, I provide an insight into my subjective and intellectual perspectives of flipping, challenges in promoting students’ engagement and self-discipline in online spaces, and how I triumphed those challenges using a holistic pedagogical design, incorporating ‘TPACK’ and ‘Scaffolding’. Furthermore, I chronicle my transformations in my teaching identity, from a traditional, embodied ‘pedagogue’ to a ‘technogogue’ within virtual teaching spaces. My intention is to provide insights into the realities of flipped learning and suggest pointers to other academics who may be embarking on a journey into flipped classrooms in higher education. Sanagavarapu, P. (2018). From Pedagogue to Technogogue: A Journey into Flipped Classrooms in Higher Education. 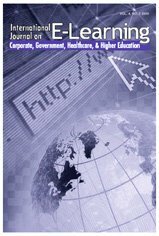 International Journal on E-Learning, 17 (3), 377-399. Waynesville, NC USA: Association for the Advancement of Computing in Education (AACE). Retrieved April 24, 2019 from https://www.learntechlib.org/primary/p/173324/.